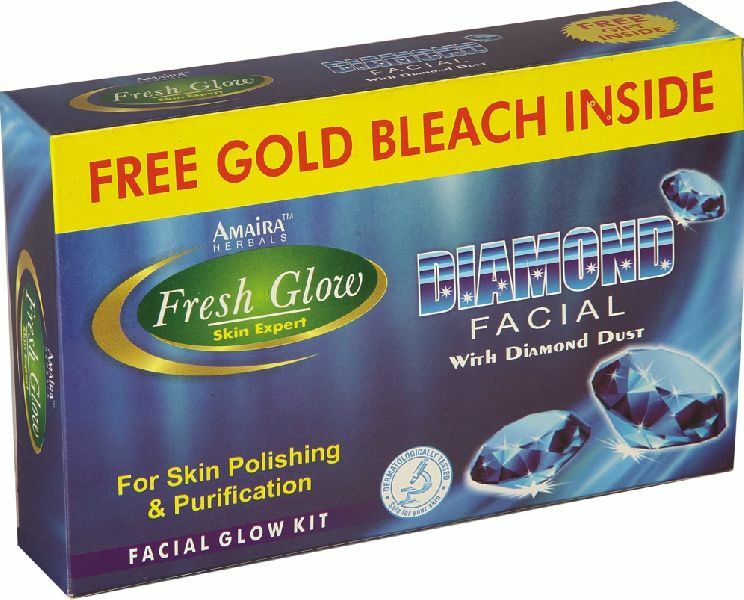 Our Diamond Facial Kit is used for skin polishing and purification as it enhances the skin tone by lightening it. Made using excellent quality herbal ingredients, our Diamond Facial Kit is anti-allergic to skin and suitable for all skin types. Diamond Facial Kit ensures smooth, toned and glowing skin just like a diamond. Our Diamond Facial Kit includes facial gel, facial cream, facial scrub and face pack.